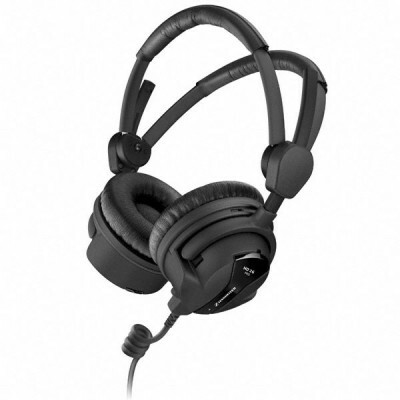 The HD 26 PRO - the perfect headphones for radio and television broadcast productions. Because of its closed design this headphones offer a high passive noise attenuation. The HD 26 PRO provides a very accurate sound reproduction for demanding applications. Soft ear cushions and low weight guarantee outstanding wearing comfort even in long term use. The HD 26 PRO comes with ActiveGard© to protect the hearing from sudden audio peaks more than 105 dB. The ActiveGard© function can be activated or deactivated. The modular concept of the HD 26 PRO makes changing cabel or cushions easy.